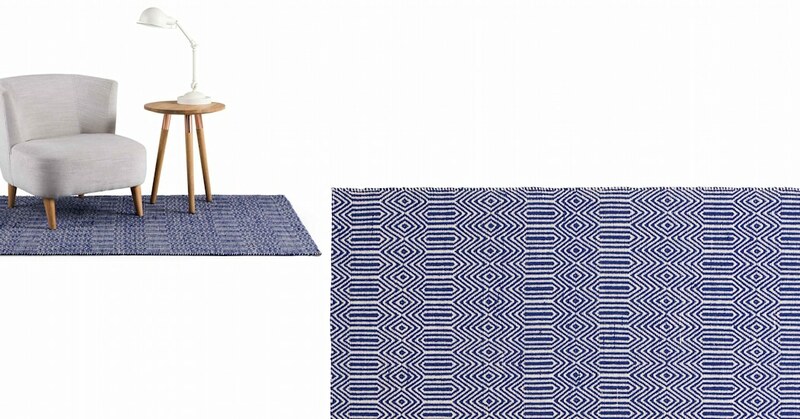 A rustic, bold design, this blue and white rug makes a fetching focal point and adds warmth and character to any room. The pattern is woven by hand using traditional methods.The blend of wool and cotton makes it soft underfoot but durable. The blue really punctuates the pattern. It makes for a bold, bright statement in living rooms, dining rooms and hallways.